We are very excited to announce TinyTracker, a simple issue tracker for small teams who work with software based projects. TinyTracker is a simple and easy to use issue tracker. We designed TinyTracker to be simple for all members of your team, not just technically-minded people. This means it's easy for everyone to add a feature request or report a bug, while the product team remain in control. 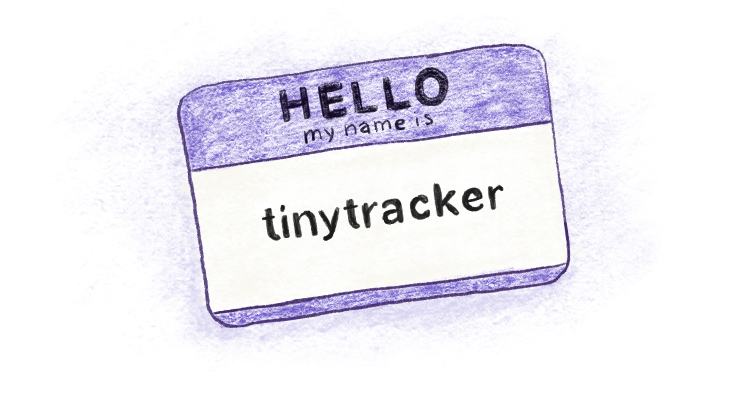 We chose the name TinyTracker because it implies, from the first, that it will be simple to use and do one thing well; manage your issues. Why are you building another issue tracker? We have all worked for software companies who use overly complex issue trackers that are slow and unfriendly to our non-technical friends and colleagues. We realised that we didn't need all the bloat that came with products like Jira and just needed a place to track bugs, feature requests and technical tasks. The more we spoke about what we actually needed, the more we thought things could be done better, and so; TinyTracker was born! Yes, we love Trello and use it every day, we actually used Trello to keep track of things while we were building TinyTracker! But Trello becomes messy very quickly when you are using it across teams and across many projects. Trello also isn't designed specifically for software companies and doesn't have any tooling for developers, such as Git integration. How is this different to Github issues? Github issues are great and an important part of the open source community. But it is not friendly for non-developers or people who would like to report a bug outside of the product teams. In our opinion, you shouldn't have to have a Github account just to request a feature or to make a simple request from the product team. We believe that the future of issue tracking involves the entire company. Customer Success and Support should be able to report issues with ease and see the status of their issue easily, so they can communicate clearly with customers. Customer facing teams shouldn’t have to know which developer to assign an issue to or which version the issue affects - they just want their issue solved! By understanding who is using TinyTracker and what each department or team is trying to achieve we can improve everyone's experience of using an issue tracker. We also believe that the overheads of managing bugs and feature requests should be taken care of by the issue tracker itself. By using machine learning, TinyTracker can start to help you manage the company's issues, by suggesting duplicates, old issues that can be closed, who is the best developer for a particular type of issue and much more! We are currently in limited preview release but you can get early access via an invite which can be requested here! We hope to start slowly sending out invitations within the next week or two! We'd love to receive any feedback you may have for us, so please leave a comment, tweet us at @tinytrackerco or give us a shout at team@tinytracker.co!